Hi Darlings I first want to apologize that I haven't been posting as often as I should, but I tend to get busier towards the end of the year with....LIFE lol, but I'm back and I have some exciting news! 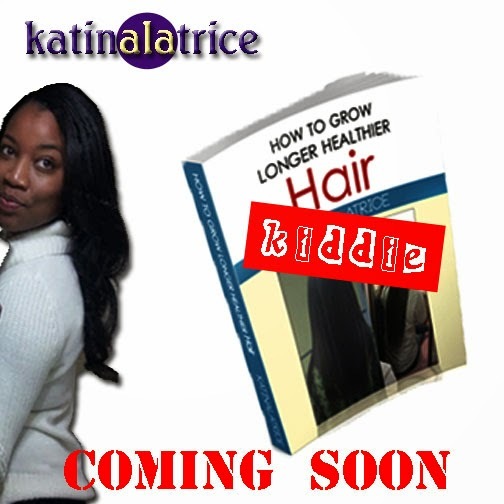 My first e-book, "How to grow longer healthier hair" was released for sale on October 1, 2013 and is doing well. If you haven't gotten your copy you can do so here. Well I'm back for round 2, I have the new KIDDIE EDITION coming out soon! This edition is just for the babies. Their hair is pretty much like ours (adults) but because their hair hasn't been exposed to the harsh world as long, you can grow their hair a lot easier than you can grow yours. So before you start putting chemicals, creams, and dye in their hair, purchase a copy of this edition to make sure you are taking the best care of your babies hair. Make sure to stay tuned for the release of the KIDDIE EDITION. This blog has no definite rhythm or rhyme scheme. Its a free flow of my thoughts, ideas, and feelings. The stanzas have no pattern and may be sung in different tunes. I'll leave that up to you. Enjoy and leave your comments! Copyright © 2011-2015 katinalatrice; all rights reserved. 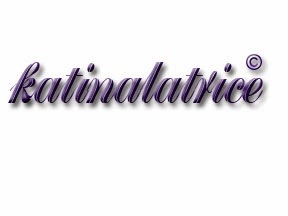 katinalatraice™ and katina™ are claimed trademarks (TM) and may not be imitated or reproduced in any way or any medium. katinalatriceblog. Simple theme. Theme images by bulentgultek. Powered by Blogger.